Still trying to use up the leftover ham in your fridge? Or simply can’t get enough and are looking for new ways to cook with it? 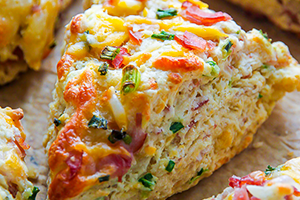 Here are 5 delicious and healthy ways to use up your leftover ham. A brilliant dinner idea that the whole family is sure to love. 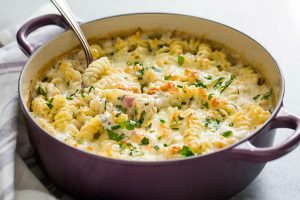 This one is great to reheat, which is perfect for those busy school holiday days. 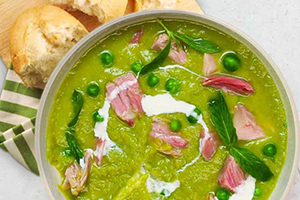 Healthy and flavoursome, this is a quick pea and ham soup recipe, using frozen peas instead of dried split pease. 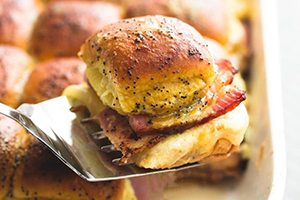 The ultimate party food – these little sliders are addictive go down very easily! Gourmet scones that can go where you go – try these for your next picnic dinner while making the most of summer evenings. 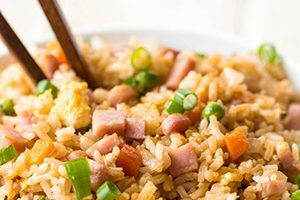 Super speedy, this ham fried rice an be eaten on its own or as a side to other delicious Chinese-inspired dishes. For a quick snack, add chopped ham to baked beans and simmer until hot. Make Eggs Benedict for breakfast, using sliced ham. Use this quick Hollandaise sauce recipe to serve.